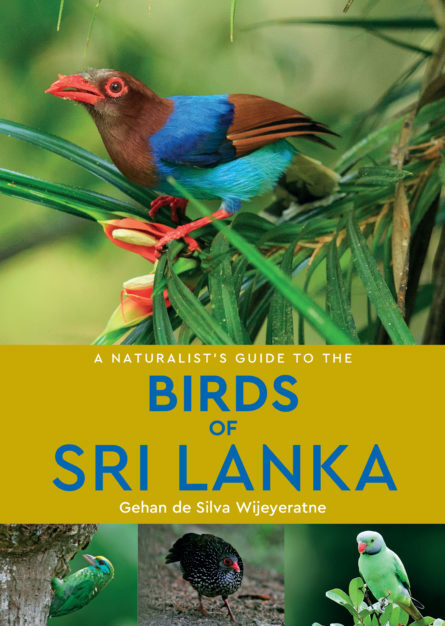 A photographic identification guide to 280 bird species covering the most commonly seen in Sri Lanka is an ideal, portable guide for residents and visitors alike, written by an experienced birder with a track record for writing to a popular audience. The author’s top quality photographs are accompanied by detailed species descriptions, which include nomenclature, plumage, distribution, habits and habitat. The species accounts cover 75 of the 82 families of birds recorded in Sri Lanka and distinguish between highly scarce migrants and vagrants to explain what a realistic and good ‘country list’ and ‘trip list’ would be for residents and visitors respectively. Gehan de Silva Wijeyeratne is one of Sri Lanka’s most high profile wildlife personalities. In the words of British TV Naturalist Bill Oddie, no single individual has done so much to brand a country for its wildlife. A graduate from Imperial College, London, he has been passionate about Sri Lanka’s wildlife since the age of three when he went on his first leopard safari in Yala. He has authored and photographed over 300 articles for national and international newspapers and magazines on Sri Lankan biodiversity, travel and business topics. His many books include Wild Sri Lanka and the Photographic Field Guide to the Birds of Sri Lanka also published by John Beaufoy Publishing. He branded the Elephant Gathering and introduced the concepts of Leopard Safaris and Dragonfly Safaris in Sri Lanka. He also publicised Sri Lanka as Best for Blue Whale, as the best chance for seeing a super-pod of Sperm Whales on a whale watch and publicised Kalpitiya as a third whale-watching hot spot.compassing, for each species, its common and scientific names as well as its national status.